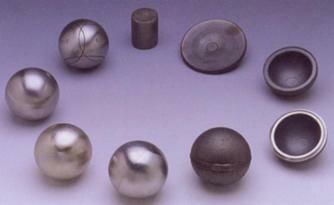 Here is a competition ball in the making .Note that he starts with the billet at the top and ends with a ball so polished that you cant bear to use it at first and he guarantees its size to a tenth of a millimetre and its weight to a tenth of a gramme. Latest News : In addition to our calendar we like our members to be aware that there is a Scottish scene available to the keen player. 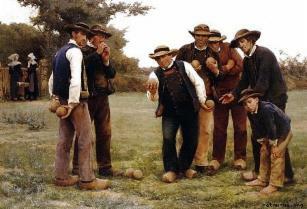 Go to www.scottishpetanque.org to see a host of competitions available to our members in all corners of the nation. We believe it is beneficial to your game to pit yourself against the better teams now and again!